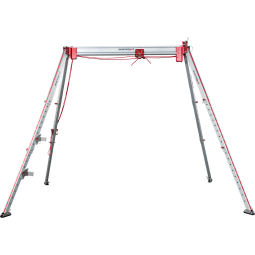 Emergency kit suitable for various types of work at height, for a maximum load of 150 kg. Multifunctional rescue kit for work at height suitable for loads of up to 200 kg and can be used in two main modes: indirect or direct rescue. Auto-blocking rescue winch with 4x reduction factor, reduces by 86% the weight to be lifted and maximum lifting height 2 m, ideal for rescue manoeuvres. Auto-blocking rescue winch with 6x reduction factor, reduces by 79% the weight to be lifted and maximum lifting height 2 m.
The world’s most versatile modular total edge management system with components that can be added or removed as required so that the Arachnipod complements existing structural or natural features. 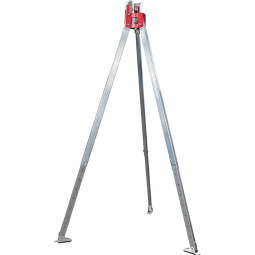 High quality light alloy tripod with stainless steel fittings. 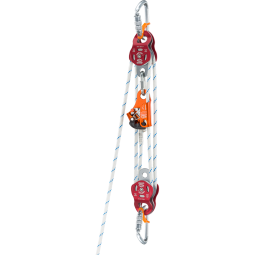 Self-locking recovery hoist and manual descender theoretical reduction factor of 12, it is extremely versatile and also compatible with the EN 795 anchor devices with three or four feet (e.g. TRIS, ARACHNIPOD). Retractable fall arrester built in rescue winch system and equipped with zinc plated steel wire cable of 15 m length. Anchorage support for the installation of a SERIES 119retractable fall arrest device on the ARACHNIPOD anchor device. Anchorage support for the installation of a SERIES 119 retractable fall arrest device on the TRIS anchor device.